We invite you to enjoy live jazz in the Bar Tuesday through Saturday evenings from 6:00 p.m. until 9:00 p.m.
Tuesday from 6:00 p.m. – 9:00 p.m.
Wednesday from 6:00 p.m. – 9:00 p.m.
Thursdays from 6:00 p.m. – 9:00 p.m.
Fridays from 6:00 p.m. – 9:00 p.m.
Every Saturday from 6:00 p.m. – 9:00 p.m.
It’s Oyster Time! Chef’s selection of fresh identity assured oysters are $1.25 each during Happy Hour on Mondays, Tuesdays and during Friday lunches. 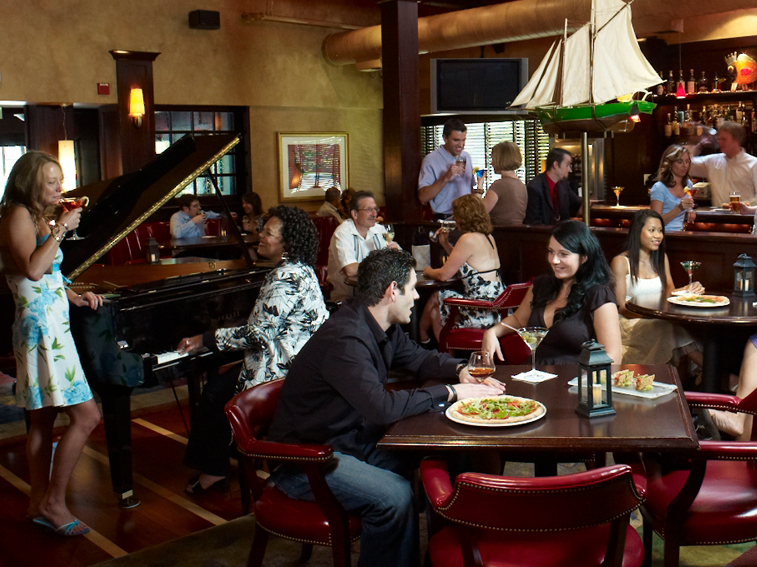 Join us for Happy Hour and enjoy specially priced selections from our Bar Menu. Our Beer Menu is powered by Untappd so you’ll always know what’s on tap and which craft beers are available in bottles.